Home Carson Date Food Grandparents Jason Natalie Vegas Vegas, Baby! For Christmas, I surprised Jason with a trip to Vegas!! He has never been and we wanted to get away before the baby comes. I set it up for his Spring Break from school, which happened to be at the same time as Leslie's Spring Break. She was kind enough to come stay with Carson for the week so we could go have fun. Thanks, Leslie! We got to do sooooooo much while we were there! 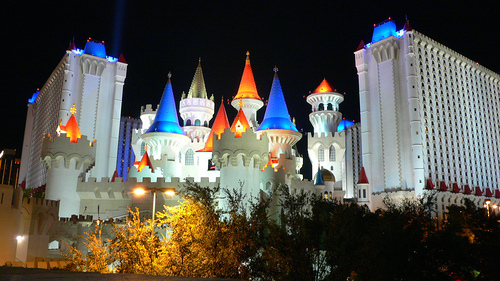 We stayed at the Excalibur on the strip. They messed up on our room when we got there, so they ended up putting us in a suite for no additional charge! We had a perfect view of the strip and had a hot tub in our room. It was really nice! The first night we were there we went to a Cirque Du Soleil show called "Beatles Love". 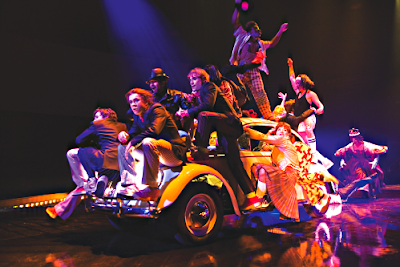 It was a Cirque performance set to the music of the Beatles. It was good, but both Jason and I agreed that we probably would have rather watched a different Cirque show. It was still fun to experience though! We walked the strip during the day and we got so see a lot of stuff doing it. 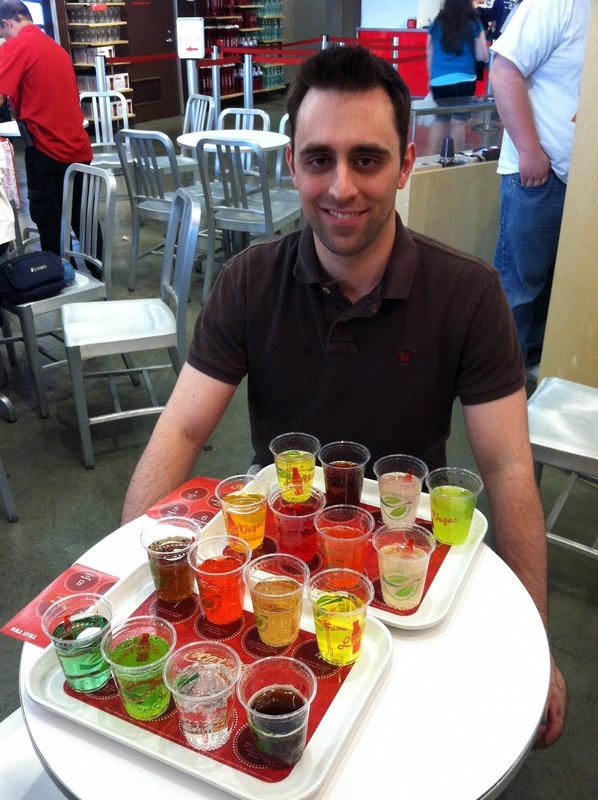 Jason got to try the cokes from all over the world at Coca-Cola world. He loved it! He has always enjoyed trying weird drinks, so this was right up his alley. There were a few good ones, like the apple and the watermelon, but there were also some GROSS ones. We found this awesome restuarant outside the Paris hotel called the Sugar Factory. We originally went in to try their crepes, but ended up finding this amazing sundae! It was a red velvet sundae with bits of red velvet cake, fresh raspberries, white chocolate pieces, whipped cream, vanilla ice cream, all drenched in white chocolate, hot fudge, and raspberry sauce. It was AMAZING! The best part was that it was right across the street from the Bellagio fountains so we could watch the fountains go off while we ate our sundae. Talk about heaven for a 7 month pregnant woman! We got free tickets to see the wax museum, which was kinda cool. We took lots of pictures, but of course I had to jump in with Will Smith and Jason had to jump in with the Beatles. 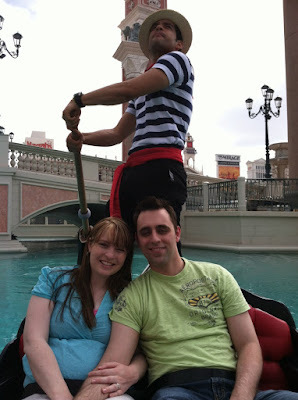 Right outside the wax museum there was a gondola ride where they sing to you and you get to take a ride in their boats through the tunnels. It was pretty cute. Our guide had an amazing voice. 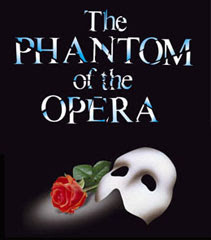 My favorite part of Vegas was "The Phantom of the Opera." I have always wanted to see it performed live, and this show was amazing!! Even Jason was impressed, and I don't think he was looking forward to it before we went. 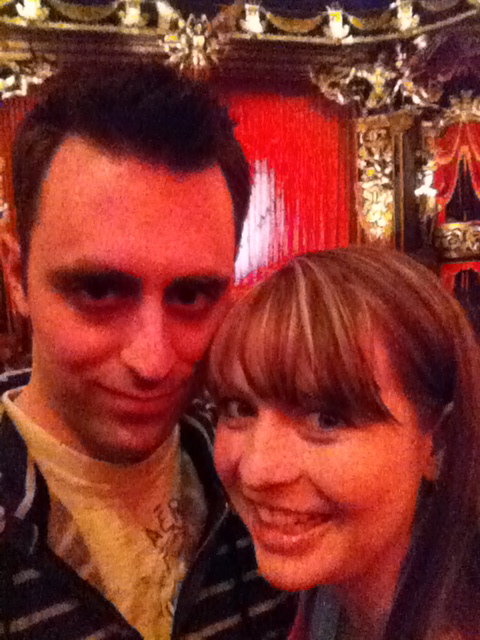 :) We sat right under the chandelier, so when it dropped that was pretty cool. I had a hard time not singing along the whole time we were watching. I love the music! Our last night in Vegas we went to the Tournament of the Kings at Excalibur. It was so much fun! They put on a show while you eat with your hands and cheer for the country you are assigned. Jason loved it. I think it was his favorite thing that we did while we were there. Vegas baby, eh? How can you be so sure? Jk. But that is awesome that we went and did a bunch of that stuff right after you guys! Thanks for preparing the way!